While our last week wasn’t nearly as bad as the video above, it was quite intense. 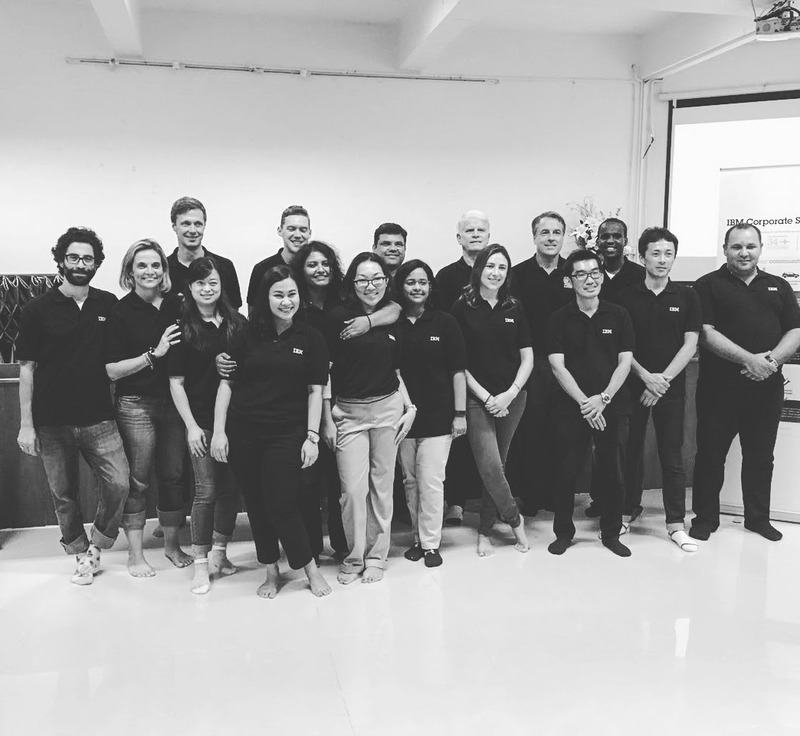 This week will include finalizing our action plan document, presenting to our customer, the other faculty and researchers as well as our final presentation at the closing ceremony. This was the week, where all our hard work came together. 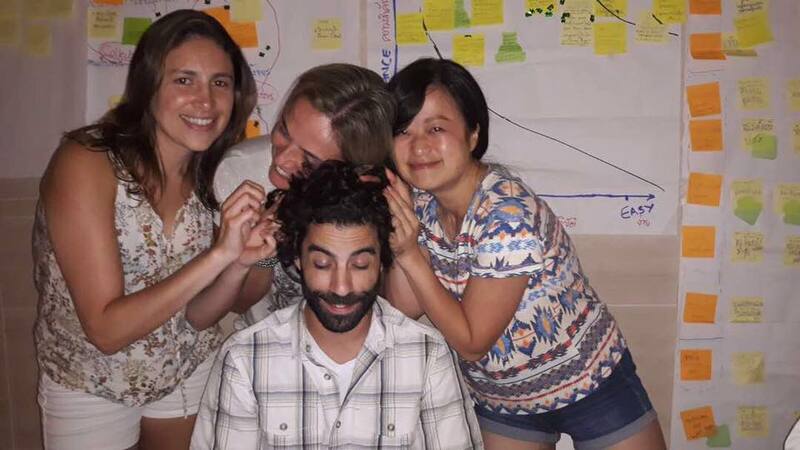 I will admit it was a bit difficult and tense on the team, at least from my perspective and it sort of relates back to week 1, when we did not want to have a project plan with target dates. This week felt very rushed and last minute. Kind of like all those group projects you did in university / college. It’s a shame it was this way, as I felt our group was positioned well to avoid the last minute/day before rush. Which we all know tends to bring in mistakes, arguments within the team etc. This week saw the longest working days so far of the deployment. The Cage got put to use this week by our team, which was rare as we were mostly on site doing our work. Oh, for reference about The Cage, this was the nickname for the suite we had available to us at the hotel. There was a bird cage or something outside in the lobby of that floor but thats the name Chrys gave the room and it stuck around for the entire trip. We felt like caged animals some days in there. By some days, I mean most days and by most days i really mean everyday. That’s not to say we didnt have a lot of fun in The Cage. 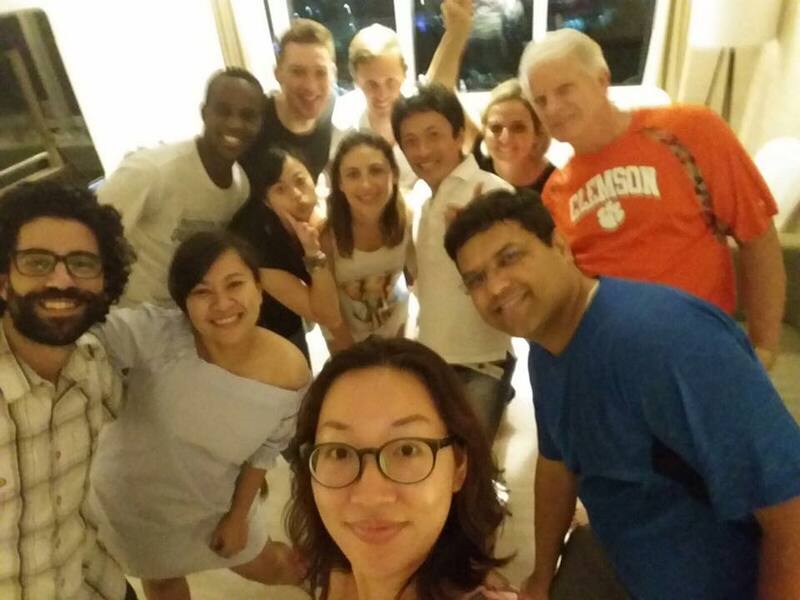 Lots of dance parties, Singha, laughter and tears. One of my favourite things to come out of The Cage was the battle to get WiFi. This seemed to be one item that only impacted the CSC’ers from “Less Developed Countries”. (Please note: they termed this saying, not me…). As most people know, I have a serious love affair with The Lion King movie. It’s one of the first movies I remember going to see in the theater with my mother. There’s also that time my father gave away my VHS copy of the movie to a colleague from the Philippines. Here we are almost 20 years later, and its still something I bug him about. 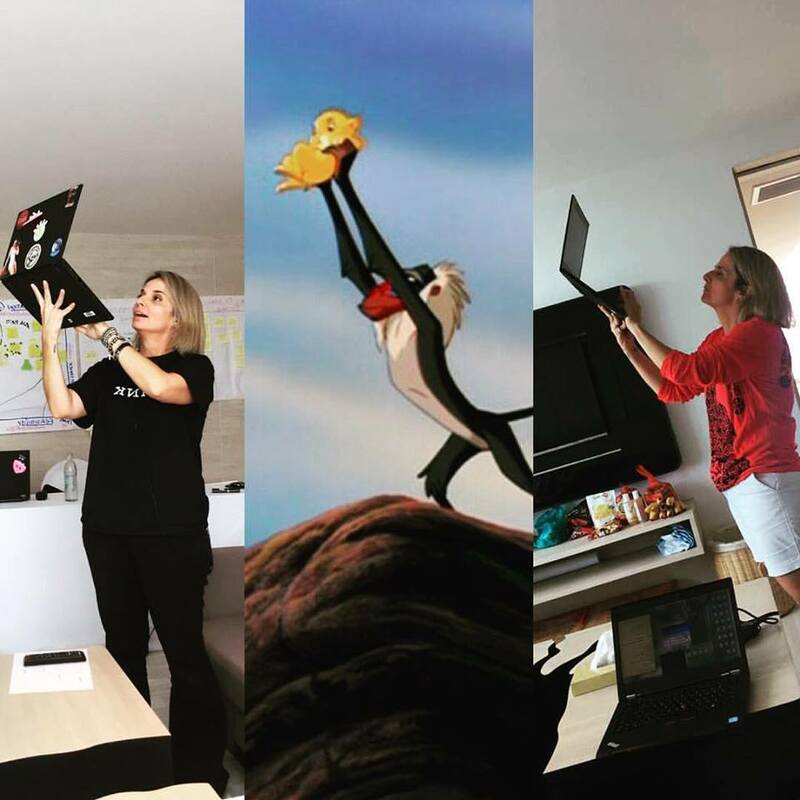 Anyway, our dear Chrys always had problems with her WiFi in the cage and the poses to try and get signal instantly reminded me of a classic scene in the Lion King. The whole group eventually got involved and it evolved from laughing, to singing the song to having a dance for the WiFi gods provided by the always wonderful Matthias. This is one of my favourite memories from the trip. The photo above… I still dont really know what to say. I mean, its clearly obvious that everyone involved enjoyed this. Back in my counnnnnnnnnnnntryyyyyyyyyyyyyy (@Moncef) the women don’t do this. It took almost 2 weeks for Linda to be comfortable enough to ask to touch my hair. I guess the guys in China dont have curly thick hair? Either way, I was quite lucky, or were they? You decide. Back to the Week 4 story… last minute, losing my patience, unable to focus on one task given the workload. We continued to work through all the remaining sections of our Action Plan document and by Tuesday we were quite happy with where we were but there was still quite a lot of work left to be done. We had to create a couple presentations still, but those were a lot lower priority than our final deliverable. One item that became apparent at this part of the deployment was how lucky our team was. While other teams had to think about translation of their final deliverables, we just worked on our English copies and didnt think about it. Other teams had to coordinate getting their documents translated and approved, whereas we just kept working and submitted. Thankfully this was the case, given the last minute rush on our side to get our document completed. I found this to be both a good and bad thing, as compared to other teams, we were never really immersed in Thai language, so it kind of felt like we were missing out on some of the experience. Lets take a pause. Around 1.5 years or so. What the hell happened? Well the typical answer is ‘life’ but thats only half true. This isnt really the place to explain it all, but here we are in November 2018 finishing my final blog post. Back to the story! 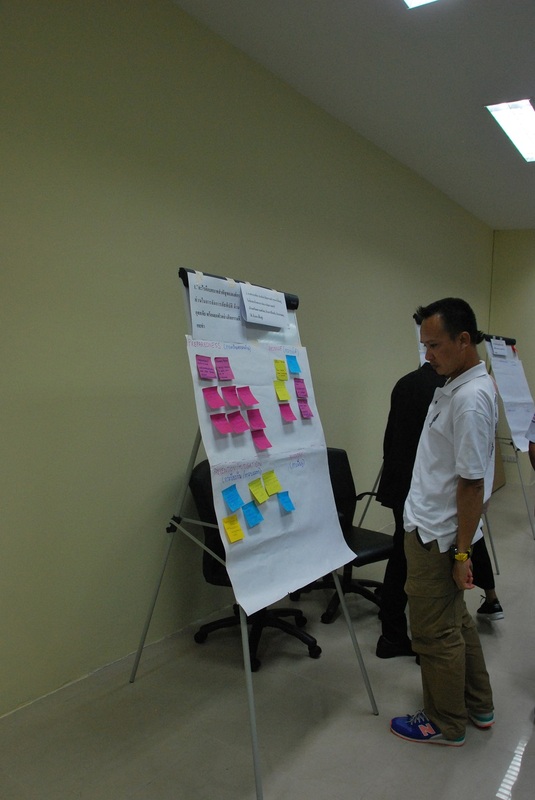 We continued to hammer through all the various tasks that remained in our project and action plan. The team split up to work as needed in an environment that allowed them to focus. For me, this was putting in headphones and hammering away on the keyboard. Just like back home, I prefer to be in the office with others and then just blocking myseslf out using headphones. The reason I like this, is when I need a break, I can take the headphones out and chat with any of the various people who may have been in the Cage. The other benefit here is that you have people to bounce ideas off and get some advice and guidance from those who have more experience. With our Action Plan done and reviews done with our client, it was time to get working on our final presentations. We had a presentation to give at the University to the staff and some identified students who are in the DR field. 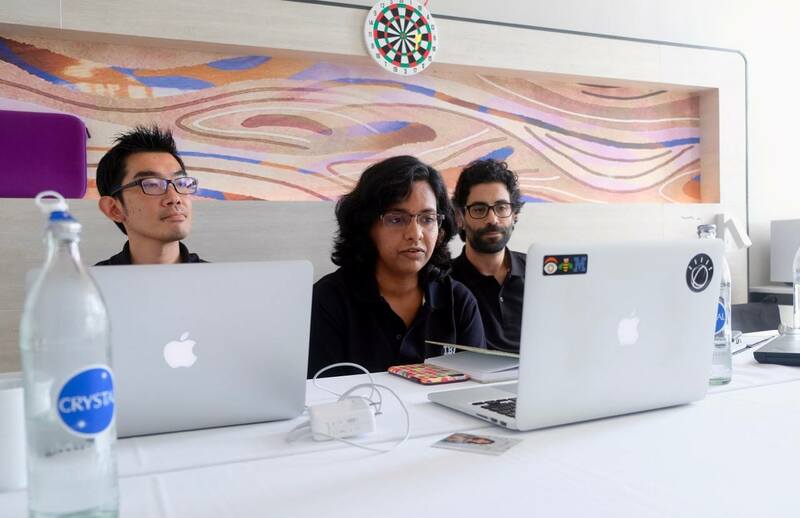 Each of the team members was tasked with generating some slides based on the assigned they completed. The benefit of generating this initial presentation is that we could reuse some of the content for our final presentation at the CSC Closing ceremonies. This helped reduce some effort for us, which was quite good, considering we were working on these presentations at the last minute. Literally. The morning before our presentation we were finalizing some items! Nothing like last minute to get everyone on the same page, ignore any previous issues and simply just unite to get it done! The Final Presentation day was upon us. It was a bit of a stressful day, not just for our group but for us all. I don’t typically get nervous or anxious, but this was one of the first times I would be giving a presentation to 100+ people, including some high ranking city officials, military, IBM and university officials. We had a small amount of time allotted to each group for their presentation, which had me a bit worried. I practiced my presentation several times ensuring I knew the content without needing any notes. I also took this opportunity to time myself to ensure I would respect my 3 minutes. After several timed practice sessions I was confident in the material and my timings. As we watched other teams present it was beautiful to see us all dressed up nicely and presenting the last 3.5 weeks of intense workloads. Many nervous smiles turned to relief after they were done the presentation. 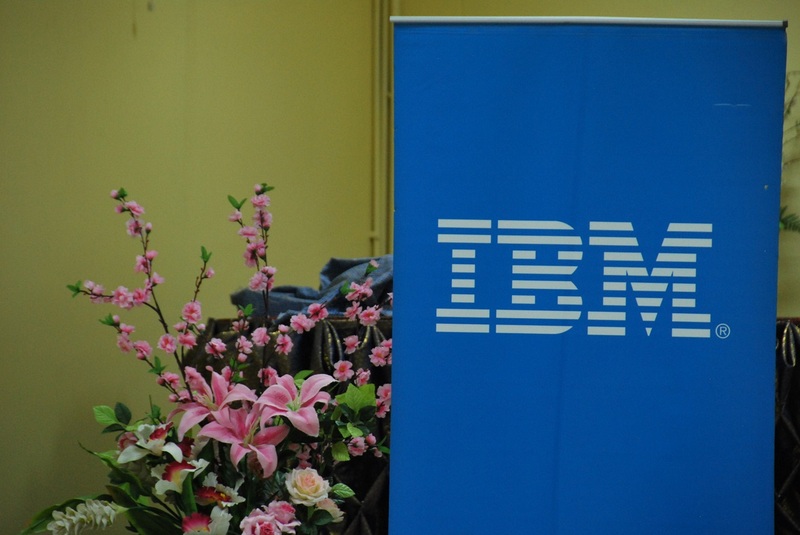 Lots of happiness all around, from the IBM’ers to the customers when they finally saw the end results. Now, even though I and the team practiced and had our timing down, as with anything, things change when you get on to that stage. And boy… did we have some moments! We totally blew our time allocation. Like really badly according to Chirada and the other teams. We were all guilty of this on our team. Even though I had practiced and timed it, when I got on to the stage, i went from talking way too fast to talking way too slowly. Other than nerves, I really have no reason or explanation as to why this occurred. IT happened, we cant change that, but we can all learn from these situations. I hope if the opportunity arises in my future to present to a large group, that I will learn and improve. After all the teams were done presenting, we got some final photos and then we were invited to a final lunch with our customers. After some lovely discussions about our time and our plans going forward, we headed back to the hotel. The next couple days were difficult as people began to head home. We had one last night of fun in the cage, which will remain as one of my favourite memories of this wonderful experience. I didn’t think I’d get as emotional as I did as we said our goodbyes, but I’d also be a liar if I said I didn’t drop of a few tears. I think it was the realization that it was truly over. The assignment that is, not the relationships and connections made. The friendships made are something I will treasure for the rest of my life. When it was finally time for my departure… well. There were many tears and they flowed when I was giving my final hug to Chrys. When I got in to the car to get dropped off at the airport, the driver even stopped and asked ‘is everything okay sir?’ due to my current state. I was okay. I was sad to be leaving my friends, but I was happy that I was able to have this tremendous experience. Nov 2018 – The final bits likely feel rushed / missing connections back to the other posts but thats what happens when you dont finalize your post until 1.5 years later. I had plans to detail more of the frustrations at a general level during my CSC deployment, but there is no need or point. What I was annoyed with back then, is not relevant and not important any more. What I do what to acknowledge is how we grow over time, when we are in the right mind set and surrounded by positive people. After my CSC deployment, I definitely fell in to a depression. While I thought it was pretty evident, which it was to my closest friends, I personally did not want to acknowledge it. This was not healthy and it led me to a few month long funk. I thought I would come back to work more invigorated and interested, but those first few months were very difficult. I wasn’t in the mind set to realize that life isnt always going to be a CSC deployment. I was back to work with people who were constantly negative, working on projects that had no real bearing or benefit in my opinion. While there were many people who were excited to see me, hear about my deployment and the adventures that ensued afterwards, there was one person who wasnt happy and that was myself. Even the things that made me happy before, like riding my motorcycle, seeing my family, seeing my niece for the first time, and friends, I just couldn’t shake this depression. It took me some time to realize why I was in this state, and its still something I deal with to this day. I don’t want to end this post on a sad or negative note, but these are some of the realities I had to deal with. I can’t thank some people enough for sticking with me, even during my most negative of days, but its thanks to you and your constant support that helped me. Whether it was a simple whatsapp msg saying ‘hi’ or the various zoom video conferences we had after our deployment, you were and are a constant reminder of one of the best experiences in my life. 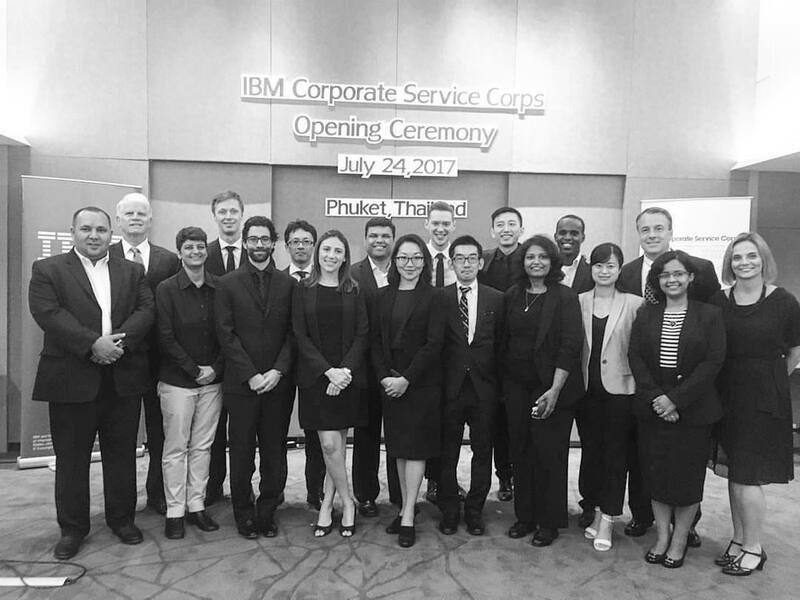 To the entire CSCThai2 team – i cannot thank you enough. I miss you all and I hope our paths cross again in the future. I look back at photos of this time and it fills me with joy. I believe I’ve grown a lot since my deployment and while we may be on different paths and different countries, our CSC connection is something that will stay with me for the rest of my life. While the main goal of the CSC deployment was the work assignment, that didn’t mean we weren’t able to enjoy our time in the country. This post will primarily cover the other stuff we did, not included in the Week posts and also will be about my trip to Bangkok. One of the coolest things that I learnt while on this trip was not work related. Our friends from Japan, Ryusuke and Shuhei showed us this elevator trick in the first week of our time in Thailand. This only works in Japanese elevators, but this should become a world wide standard. I mean, it’s so simple yet … so beautiful. I tried it out on the elevators at the office when I came back, forgetting the little detail about it needing to be a Japanese brand elevator. Needless to say, there were some people making extra stops on floors. Woops! Throughout the time in Phuket, some of my Canadian English was… poked at. Which is a bit odd, as we’re known as the most easily understood English speakers in the world, but that clearly doesn’t apply to some of our country specific words. I made the mistake of mentioning Banana Peppers once, which turned in to a whole discussion and eventually led to a new nickname for… well.. you know… right? A few other things came up, like how my french sounded like “an american speaking it” that one kinda hurt, but no troubles I know my spoken french is kind of broken. I was called out of course on about, saying Eh a few times and the usual. But the Banana Peppers thing kept sticking around. It wasnt until we went to a Korean BBQ shop that we happened to run in to another Canadian guy. He was from Calgary. THe first thing I asked him was ‘do you know what Banana Peppers are’ and he confirmed he did. I wasnt crazy anymore! Well… maybe all Canadians are but it felt pretty damn good to get that confirmation. It was quite random to meet another Canadian out here but it was nice. wholesale nhl jerseys Little did I know I’d run in to a couple others while in Bangkok. 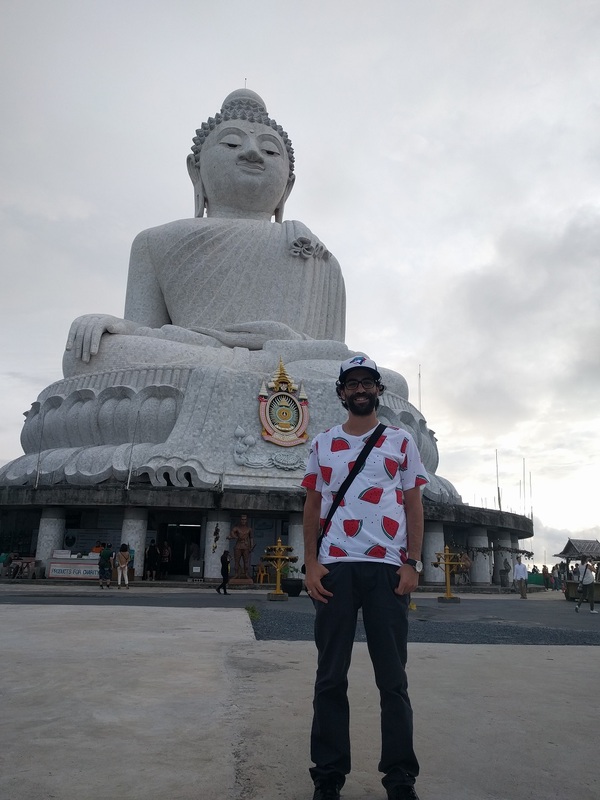 I came to Thailand with one of my favourite shirts. I’ve had this one for a few years now and depending on how long the hair is (and humidity) it becomes more accurate. The clothes here was pretty well priced, especially considering I was getting most of it from the local markets and not at the shopping mall or branded clothes. A few days later, we checked out a local night market Na Ka Market, which was absolutely amazing. I try to find these local markets in any country I travel to, as its a good local flavour of the country. This was like no market I’ve experienced before. Sure it was a night market, but it was bloody hot. At one point, we stopped to get a drink when i caught a couple shirts from the corner of my eye. The 2 below specimens were purchased immediately. Week 3 continues on the same workworkwork as Week 2. It was during this week that I realized just how few days were remaining before our final deliverable and presentations to both our customer and the final ceremony truly was. The following Monday was also another public holiday to celebrate Mother’s Day so in week 4 we were going to be ‘down’ 1 day possibly. A significant focus of week 3 was to begin our final deliverable document, which was an action plan to develop a flood GIS platform. This was our key deliverable agreed upon in our Scope of Work. Anu started a template document for us with various sections and headers we believed would be important for the document and we began to assign this sections to individuals across the team to begin writing their sections. Ryusuke and I teamed up on a lot of sections, specifically around data and applications as w were more focused on that side of the research. This also gave us each a partner to review our work and make suggestions. Ryusuke asked that I read over his written work as well to ensure that it made sense. I very much enjoy this type of work partnership, where we both gain value from each others work and it also brought us closer together I found. Not to say we hadn’t become good friends in the first 2 weeks, I think the day we both went to McDonald’s really brought that together. This was also one of the first weeks since we have arrived in Phuket that we would be working from our hotel instead of the customer site every day. 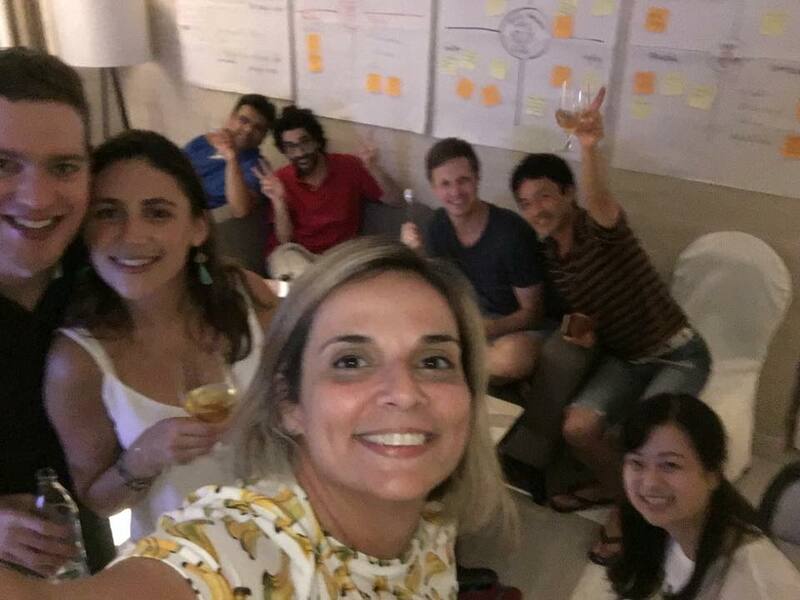 This was a nice change to the normal routine as I was able to spend some more time in the team suite, share ideas, review and get updates on the other teams projects. While this also brought some new challenges of a much more busy room and side conversations, I am able to work through that without any real trouble, mostly thanks to headphones. One thing I could not adjust to was what I would consider insane levels of air conditioning. This was also an issue at the customer site, as a couple people on the team seemed to love having it set to 21 and full fan speed. This was almost next level AC though, set to 14 or 15 in the room. People would bring blankets, sweaters and our room robes just to try and stay warm. Staying warm, in a country where it has averaged around 40-43 degrees with humidity. That is definitely one thing I never imagined I’d be saying on this trip. But I digress, that will all be saved for another post later on called Challenges. After posting the McDonald’s picture above, I was poked at on Facebook that ‘Thai food looks delicious’. We have been eaten well, but its spicy here. For those who know me, I don’t always deal well with spicy food. I’ve been trying to get better with it, but this reminded me of India spicy levels in some cases. I mean, even one of the dessert places we went to, the bloody cookies were spicy. No, I don’t mean pepper kinda cookies, straight up spicy cookies. Below is one of the usual spots we went to for dinner around the hotel. 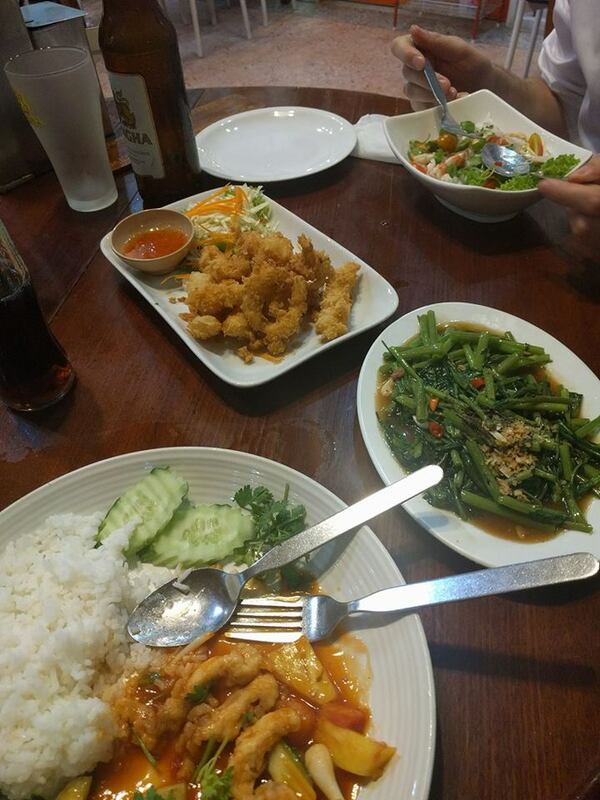 Mostly seafood, mostly spicy but clean and tasty food. We tended to come as a group here to enjoy some Singha’s, Coke, calamari, prawns, soups and many other dishes. After a few visits we had a buddy who worked there that took care of us. At one point during the week he wasn’t there and we kept getting the crappy menu. When he returned we told him no more vacations please! Here is an example of a meal we had at another local restaurant. Very tasty. 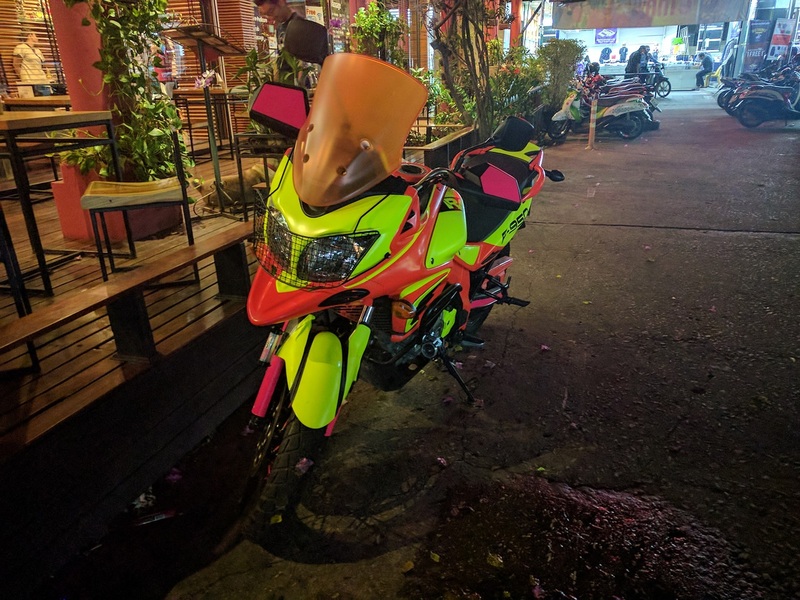 If there is one thing that Thailand is not lacking, its the number of Scooters and motorcycles. This was sort of painful for me, as at this point I’ve missed my bike for many weeks and have missed driving in general. Below are some of the cooler bikes I came across during the few weeks we have been here so far. 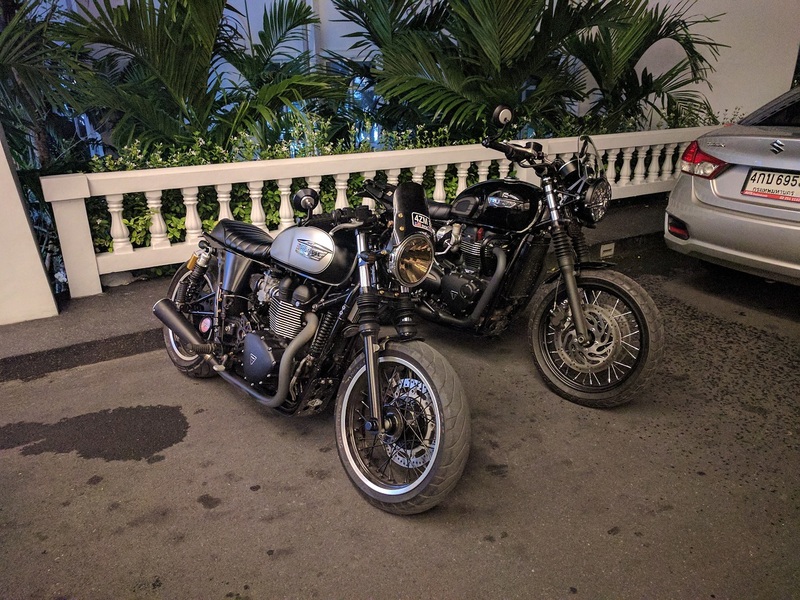 These 2 beautiful Triumph’s were hanging out in front of the hotel. Once again, pretty rare to see these bigger bikes in town. Anyhoo, back to Week 3 work stuff! The group continued to progress and finalize sections of our action plan and we had a target of showing a draft copy of our document to Dr Tanwa by Friday at 4PM. 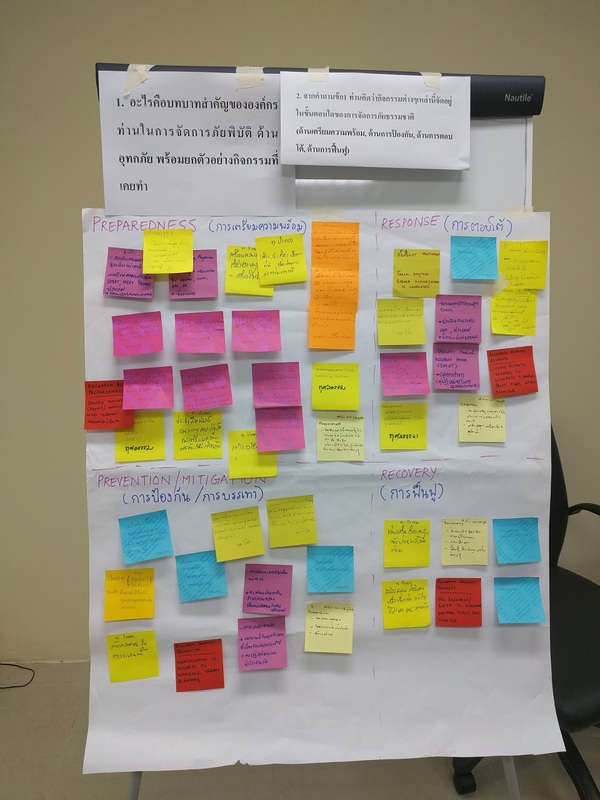 This was also the week we were pushing New to complete the translations from our Design session as there was some very valuable data in those post-it notes. I took the initiative to get that presentation in order and ready for our recommendations/insights. I thought this would be an easy task, but I should have realized as soon as you say that it becomes a bit more complex. 65 slides later, the presentation was completed and New was transferring his translations in to the document. This involved some late night sessions to get this organized and at least one person on the team was appreciative of the efforts (or maybe they just noticed the time stamps on my emails and last edits). From their responses a new topic / recommendation came to light which I called a Community Disaster Service Guide (CDSG). 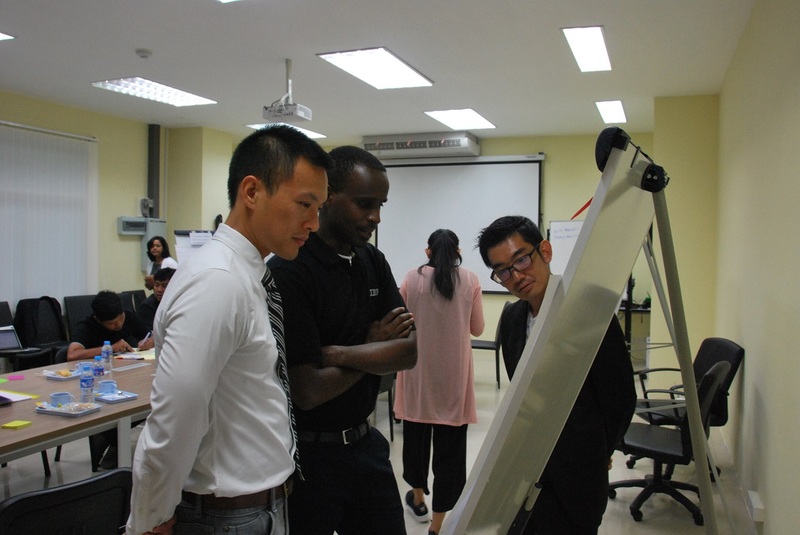 This was an opportunity for PSU to become a leader in Phuket, not only for their flood management platform but also at the ground level for communities. 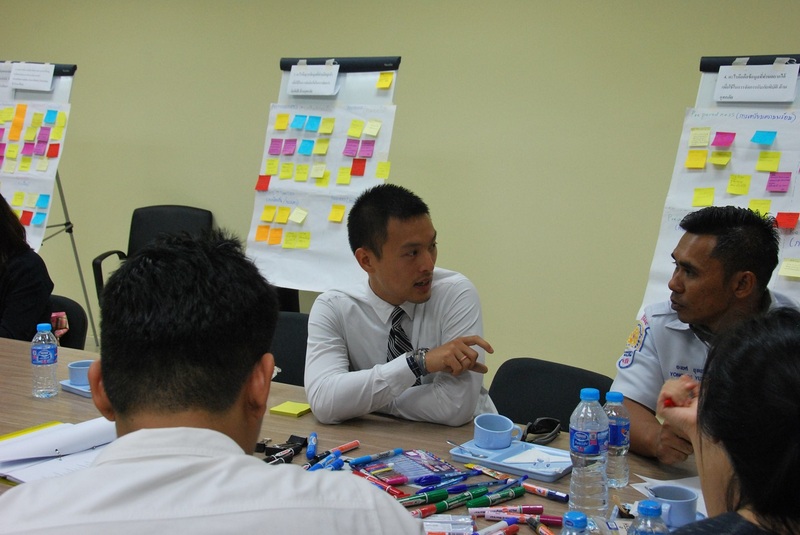 PSU could become the subject matter experts and work with community leaders, hospitals, emergency response groups and NGO’s to create a guide with valuable information for Phuket. This would include locations of disaster relief centers, maintaining the Public Address system for emergencies, create a recurring event to ensure the canal is kept clear of debris among many other steps. While this wasnt part of our initial deliverable, this was evidently a new topic that would prove to be valuable to the entire community and will help PSU establish itself as a leader in this space. 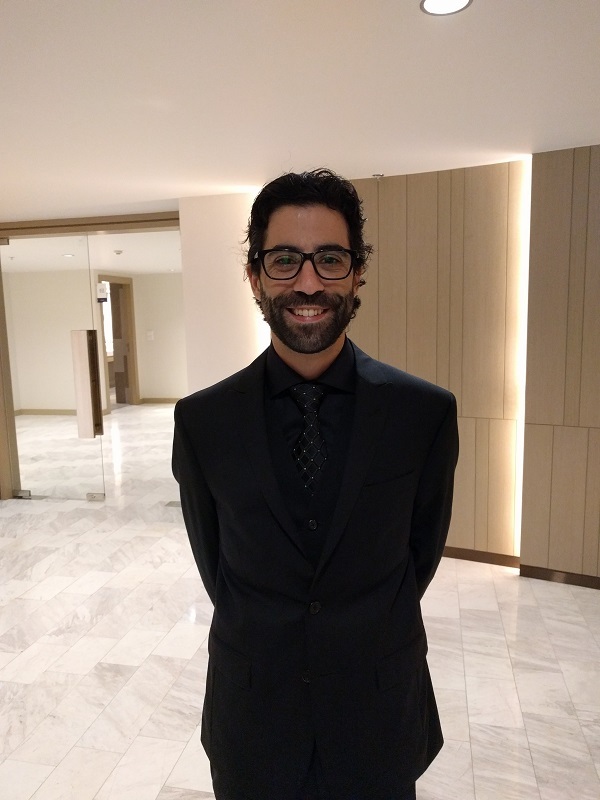 Dr. Tanwa and team were very interested to hear more about this topic, which led to a more detailed breakdown and recommendations on how to proceed with the CDSG. We sent off our draft to Dr Tanwa on friday afternoon, who was gone on an extended vacation, as the following Monday is a holiday to celebreate Mother’s Day. We received some feedback over the weekend and he was happy with what was there, but we still had lots more to do. 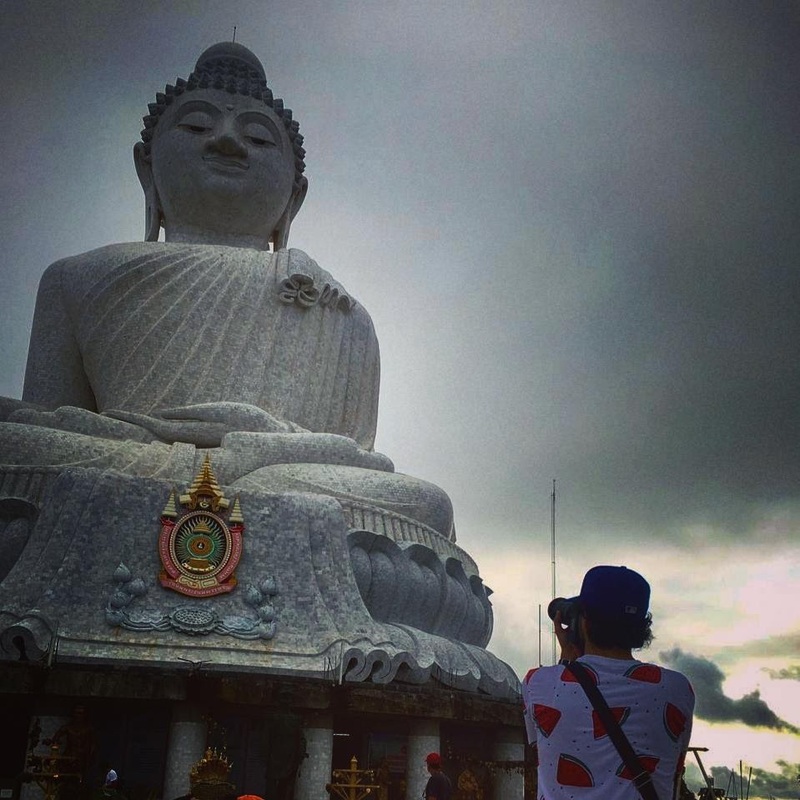 Over the weekend, we organized a second attempt to visiting The Big Buddha statue in Phuket. Our first attempt was cancelled as myself and several others werent feeling to well. While this was once again true this weekend, at least for myself due to some late night partying… I rested, drank a lot of water, was delivered a ‘get better’ package from the lovely Chrys for a second time so far on the trip… I pushed through and made it. I’m glad I did, because it was quite surreal. 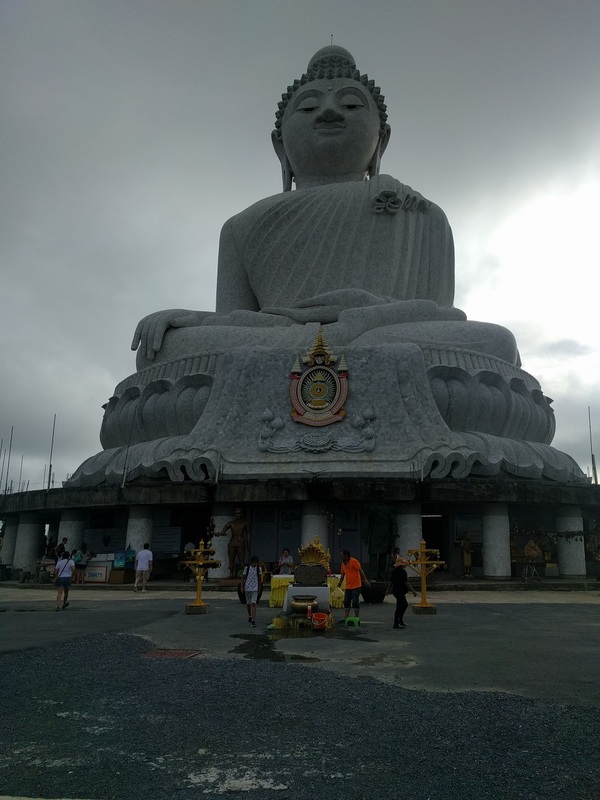 The statue is located on mountain in Phuket and every morning from my balcony at the hotel, when the weather permitted, we could see this statue. Getting up to the statue was quite the adventure, luckily the hotel has new mini vans that don’t have issues like some of the scooters and older cars we saw struggling up the hill. The views from up here were incredible and you can see out to the ocean and most of Patong. Now as a fan of heavy metal, I’m used to some pretty intense singing. I was not expecting to be serenaded by Buddhist monk’s with some seriously heavy vocals. Captured the short 10 second video below of some of their prayer ceremony. It was intense to say the least. If some instrumental metal band is looking for a new lead singer, they may wanna go to Thailand and chat with some of the monks. That’s it for Week 3, or at least from what I recall. I really should have taken better notes while I was there, especially since I’m writing these almost a week after I returned back home. We knew Week 2 was going to be a bit hectic, as during Week 1 we were pushing to host a Design Thinking session with as many organizations as possible. Throughout Week 1 both Dr Tanwa and our translator, New, were sending out invitation letters to municipalities, private and public organizations and we began receiving responses. While we weren’t planning on running a full Design Thinking workshop, especially given all the baggage that comes with that type of session, we still wanted to have as many attendees as possible. While the attendees were being confirmed, we held several meetings with some internal IBM groups who have some knowledge in disaster risk reduction (DRR). This also included a call with an IBM’er who was involved in Project NOAH. This was a key project our sponsor envisioned for Thailand. 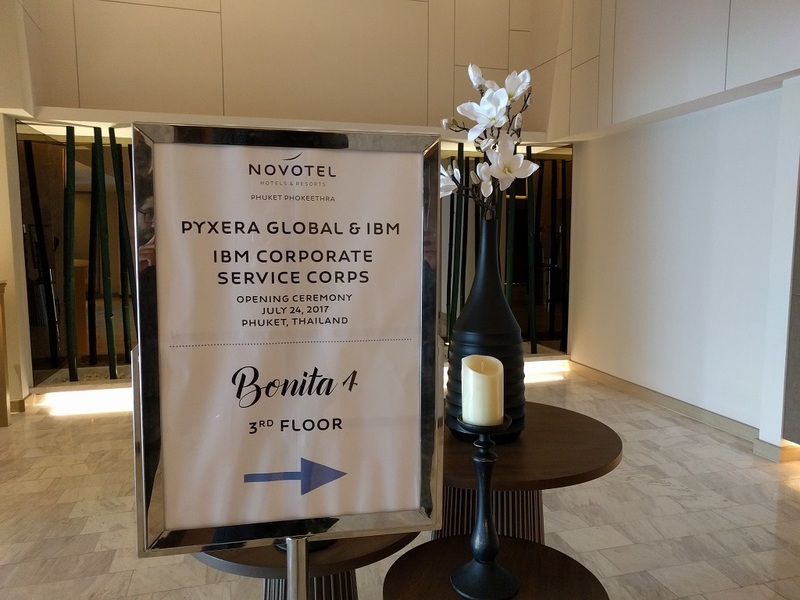 We met and discussed IBM’s role with Project NOAH, which was to provide supercomputer access to verify their prediction models. Unfortunately the project was stopped by the government and it was then taken over by a university in the Philippines. They continue to support the platform, but its production has slowed quite drastically. 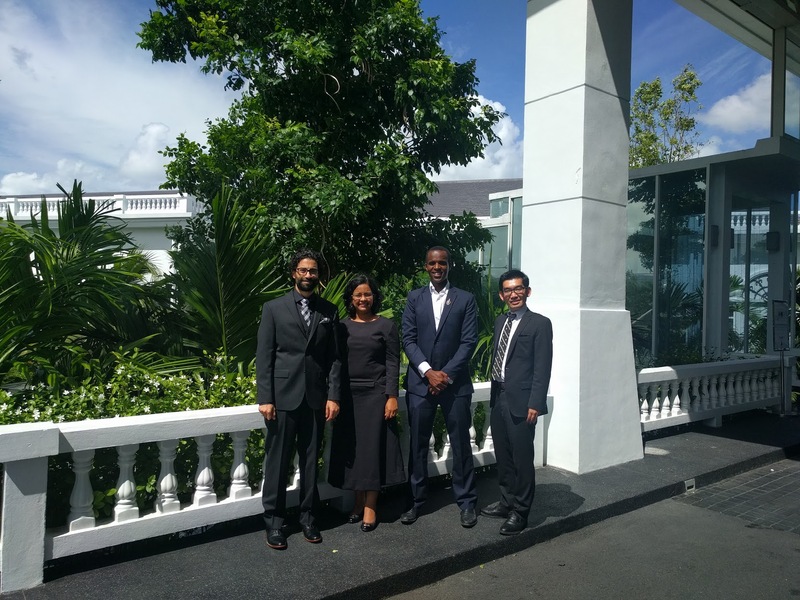 The meeting was very informative and we gathered some new contacts regarding DRR in Asia for our customer in Thailand. As the week progressed we got closer to our August 2nd Design Session and we were happy to hear we had received confirmation of attendance from 15 different groups. These ranged from local municipality, private organizations and public organizations (eg: government agencies). This was great news as the more participants we had the more information we would hopefully receive! Dr Tanwa was also excited about the number of attendees as he will now be able to meet them and get their contact information to pursue our flood management action plan or other future endeavors. 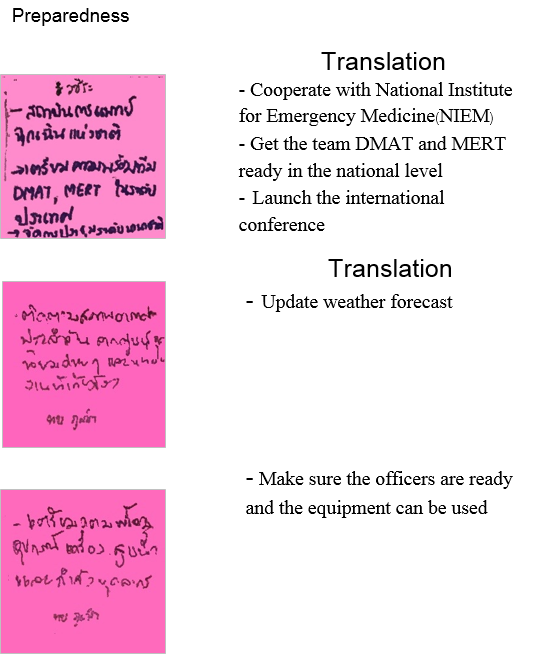 In the meantime, the team was getting our materials ready, our action plan for the day as well as requesting New to complete some translations for our materials in to Thai so the attendees would have a better idea of what we were asking them in our 6 questions. Finally Aug 2 was upon and it was time to get the meeting room setup and ready for the participants in the afternoon. We had a portion of the agenda blocked for Introductions and we thought 15 minutes would be enough. Well we were wrong. We should have known better, as from previous meetings introductions are a lot longer than usual. There was a bit of a scramble at this point, as we needed to get translations of what they were saying, so I went and say with one of the university admins who helped translate on the fly what the participants were saying so I could take notes, while the other 3 on the team sat with New who provided the same translations. We received a lot of insights during their introductions, so I guess its not a bad thing they were a bit more talkative than we had hoped! *35 minutes later* Introductions were completed and we could jump in to the design session action. I’ll be honest, I wasn’t expecting this to be all that popular or a lot of participation. 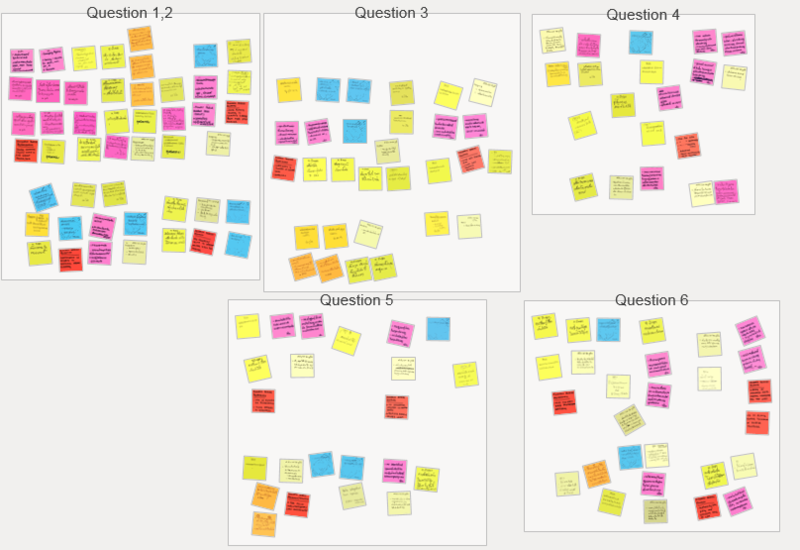 We had heard from other groups who had done their sessions already that it took some time for the people to warm up and understand the goal of the design session but they eventually started putting up more post-it notes. That’s the cynical side of me showing at this point, but I was proven wrong. The attendees were engaged, genuinely interested in our questions and ideas. We received a lot of great feedback and to add, Dr Tanwa was pleased with the turnout, with the responses and the fact he expanded his network for PSU and specifically the ESSAND department by another 10-15 people/organizations! We were going to give a small break to the group after some of the initial questions, but we were recommended to push through, as if we gave them a break some people would just leave and not return. Another new insight to working in a new country. While they were interested in the session, giving a break can sometimes mean its home time. After we were done the session, we sat back and looked at what was accomplished and the level of work that will happen after this. New is going to be busy translating over the next few days. Back in Ottawa, I had heard about a mobile application that would take a photo of these sticky notes and make a digital copy for us. So after the session I did some investigation and found this mythical app. It’s called Post-it Plus and is available on iOS devices only (groan). Luckily Anu and Ryusuke both had iPhones so we were able to take advantage of this app and it is absolutely fantastic. 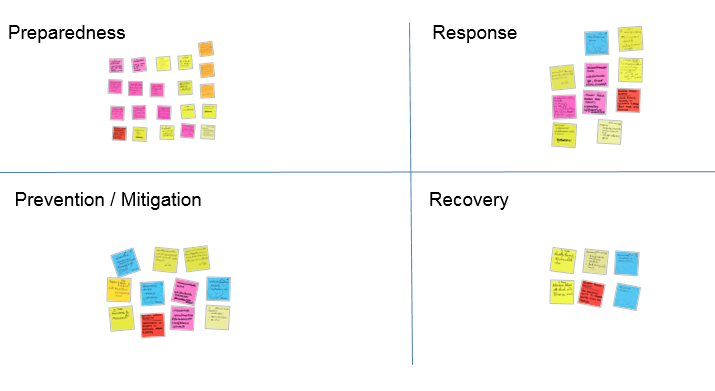 I shared this app with the rest of the CSC teams and they were quite impressed as it simplified the digital translation of these post-it notes very nicely. cheap nfl jerseys china jerseys re I even tweeted at 3M about this app and got a heart, or a like or whatever the hell they call it on the stupid twitter platform. Long day, time for a coffee and cigarette. 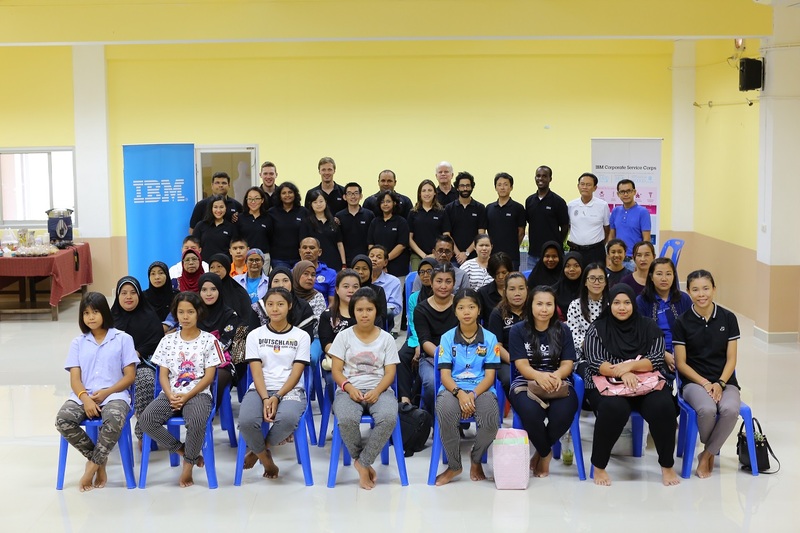 On Saturday August 5 we headed to Kamala Beach for the IBM Community service day. 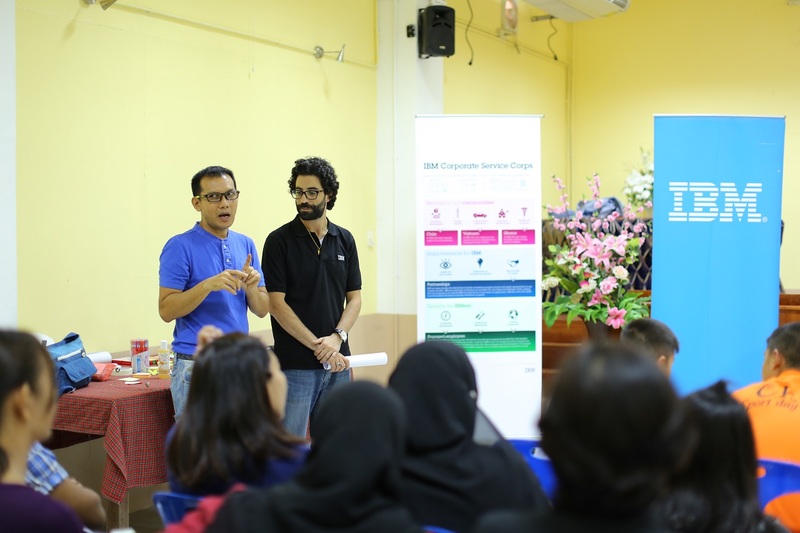 Our mission for the day was to give an education session to a local Women’s Community group, specifically around Digital Literacy and also a Project Management fundamentals session for a group of teachers at the school. Before we even went to the school, I organized a meeting with the group of 15 to split the responsibilities of the day. As I normally work in project management, I volunteered for the digital literacy portion. The point of the trip, at least to me, was to get outside my daily job role. We split the group of 15 in to 1 team of 10 and one of 5. The group of 10 would focus on the Digital Literacy/Social Media aspect and the other 5 would focus on Project Management Fundamentals. We began building our presentations, split the work across the various social media options and even created a How-To build a basic WordPress website. The community group creates their own products, such as all natural shampoo and conditioner as well as some household cleaning products. They wanted new marketing options to showcase their local products and to also get their community group more publicity. We split up the work based on the social media platform, such as Facebook (How to create a FB group page), Instagram and Twitter. We walked them through getting accounts created as necessary and explaining why these platforms are valuable to them and their community. The group was awesome to work with and they were very attentive and appreciative of our work. Some of the group got their Group page setup, others began creating their WordPress sites and many others were getting their IG and Twitter accounts setup. For the 3 people who probably check the site for updates, you may be curious why its been so quiet on here since I did my Week 1 post. Week 2-4 definitely happened and I have some content already written up on it, but its been a long, exhausting trip. I’m sitting in my hotel in Bangkok, enjoy a 2 day visit here before going back to Phuket for 1 night, then finally starting my journey back to Ottawa. I definitely have a bunch of photos to go through, some blog posts to finish up and I’ll get to that once I’m back home in Ottawa. In a few sentences this CSC trip has been one of the best experiences of my life so far. I met a lot of great people, wholesale nhl jerseys worked on an exciting project that our sponsors ended up loving our action plan. I’d be lying if I said it was easy, there were many challenges, including the people, sometimes the food and of course myself. I’m excited to get home, sleep in my bed, catch up with friends, video games and TV and most importantly, see my family. 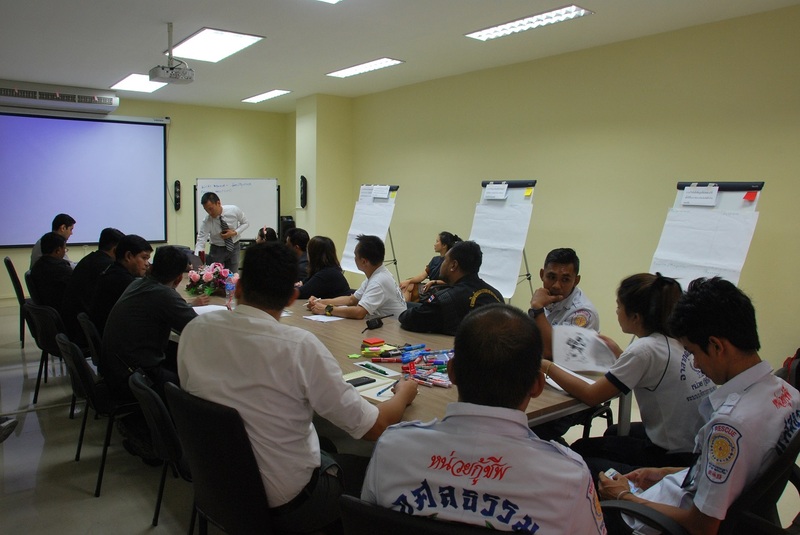 Tuesday came quickly which means our first day on site at the Prince of Songkla University. As someone who attended a technical college back in Canada, this was really my first time on a university campus and it is quite impressive! I briefly visited Ryerson university in Toronto but that was in the core of Toronto so really just felt like it was part of the city. 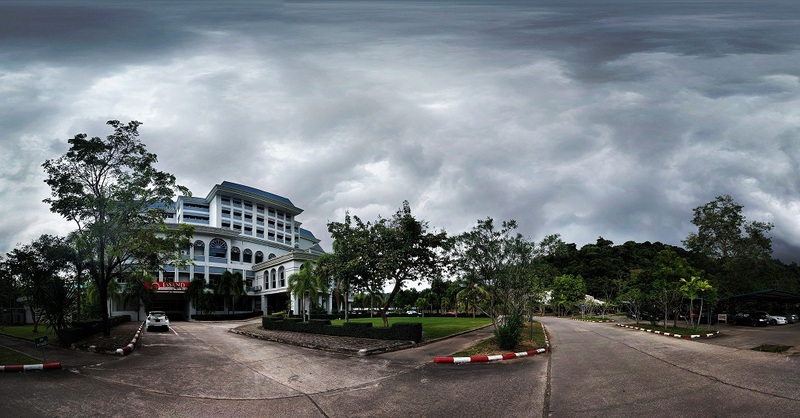 PSU is a small but fast growing university in Phuket and its very beautiful. Surrounded by hills its also somewhat protected from the rain that occurs at any given moment. While some teams were in areas getting lots of rain, it was usually sunshine for us. And humidity. My god the humidity here is intense. The campus was only about a 20 minute drive from the hotel which is quite nice, as we dont have to spend much time in traffic around Phuket City. 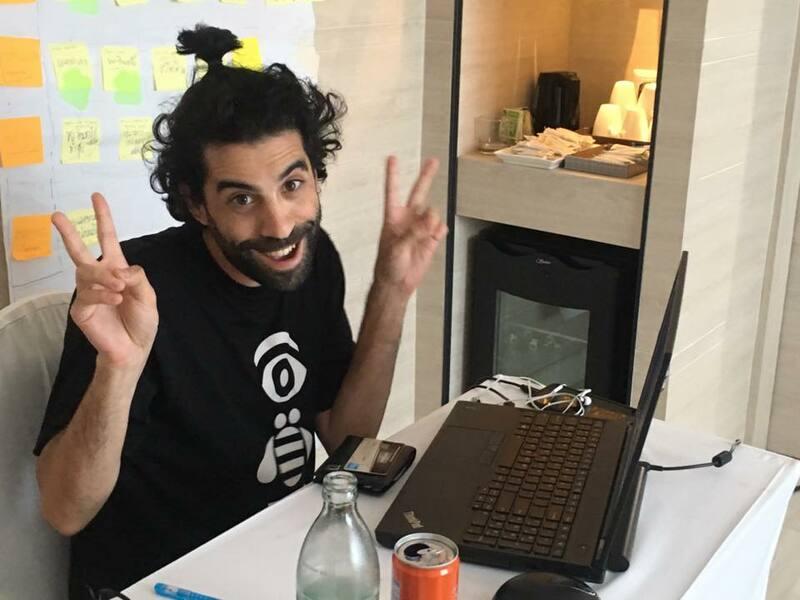 Our host Dr. Tanwa met with us to get logistics setup, such as WiFi and other general items like fingerprints to access rooms, meeting room locations and how to use the AC system. After all the introductions and logistics, we sat down to start working on our Scope of Work with Dr Tanwa. As the team began to get their equipment out, I quickly found out I was in the minority. Macbooks all around the table except me. As I got my behemoth W541 out, you could hear the audible gasps. Queue the jokes and comments. Ranging from ‘has it bluescreened on you?’ and ‘is it doing windows updates?’. Hilarious! Little do they know, while it may be a beastly sized laptop, it plays some games quite well. Not that I have any games installed on it… heh… After this, I was a bit worried what would happen when I needed to get my AC adapter out. This is really the only downside to the laptop. It’s bulky and heavy. So I tried my best to be sneaky but they saw it and queue the laughs and giggles. Haters gonna hate! All in good fun of course, or at least I think. Week 2 post spoiler: Sure the thinkpad is a beast, but at least it has all the ports a computer needs like a bloody Ethernet port. While some of my team struggles to get connected, I can just plug in without needing an dongle which most did not have/bring with them. I’ll enjoy the deliciously fast Ethernet connection from now on. Back to the story. As we continued to chat about our SoW and expectations, a power outage hit the campus. 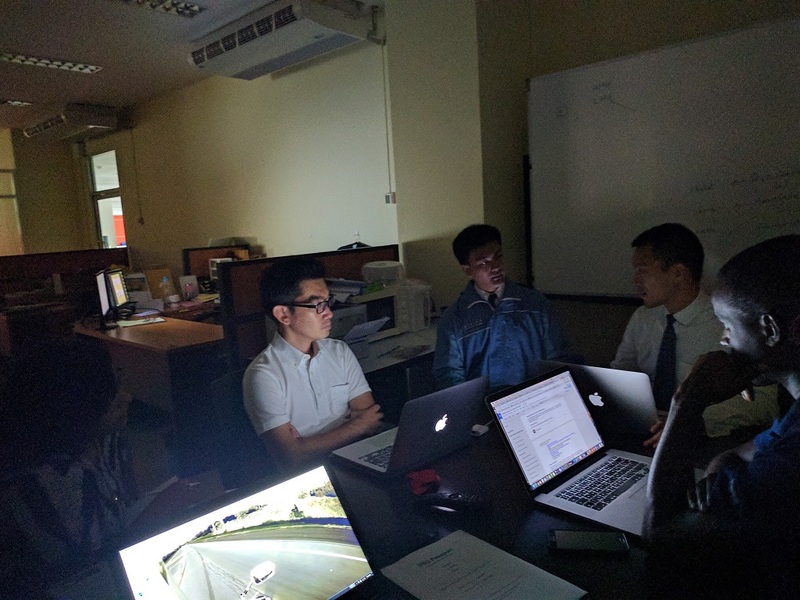 We kept on working, using the lights from our laptop screens. As the great P. Diddy says “Cant Stop, Wont Stop”. After our meeting with Dr Tanwa we did a small tour of the facility, specifically where all the cafés and food shops were. As with any university campus (I’m guessing) there are coffee shops everywhere. I guess coffee and students is an international thing. However, one thing that I don’t believe is the same back home is how the prices here are reasonable. Even at my college, a slice of pizza would cost you something like $5-7 dollars (and it was garbage pizza). You can get a full meal here for around $2. I understand that living wages are different across the world, but it still seems like they overcharge back home. 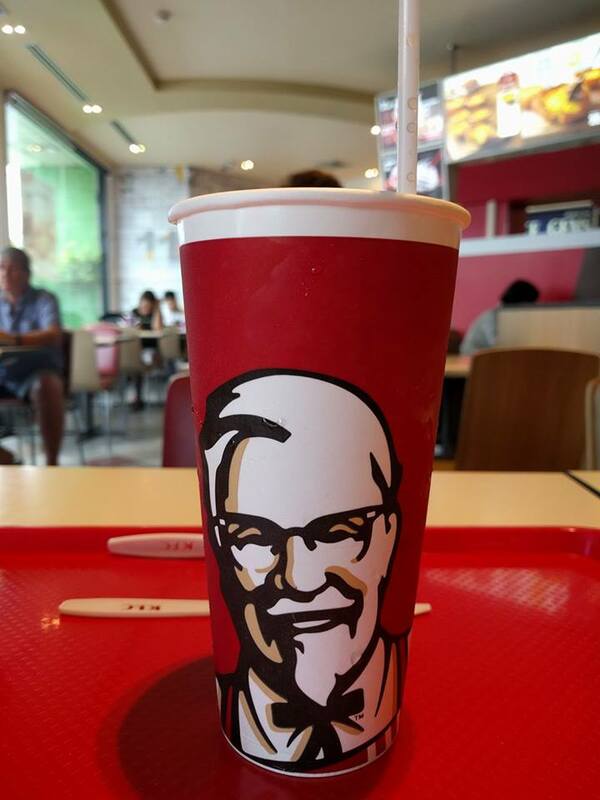 For lunch during the week we went to a popular shopping mall in Phuket called Central. We went to the food court there and also took the opportunity to get a local travelers sim card. I couldn’t believe the price difference between Canada and here. For a 15 day temporary sim, with 4GB of data and 30 mins of calls it cost me around $22. You cant even buy a sim card for $22 in Canada. Granted we do have some of the highest rates in the world. After getting the sim we went and hit up the food court, cheap nfl jerseys paypal jerseys stitched which had an interesting payment system. You give cash and they load up a little gift card which you then pay at one of the 15+ food shops they have. I grabbed a Pad Thai (surprise!) and it was absolutely delicious (double surprise). 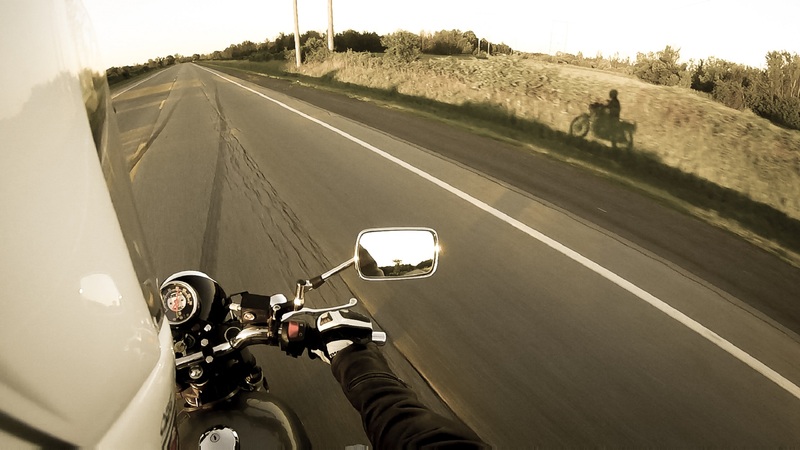 Even though it has only been about a week since I left home one of the odd things that occurred to me is that I haven’t driven a car or rode my motorcycle for almost a week now. It’s not often that happens back in my country (CSC Inside Joke) but it definitely gives you some time to wake up, in my case, think about the project and enjoy the new city we are in. 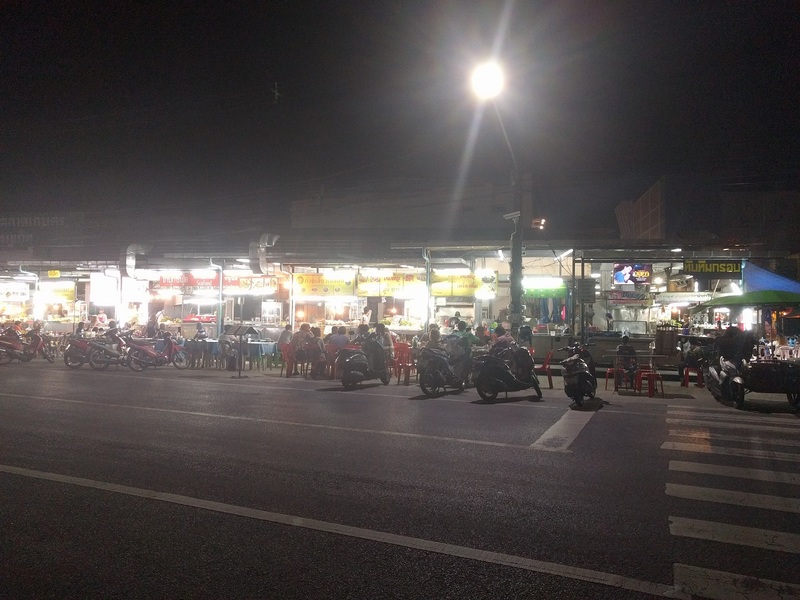 In Phuket, its also a bit of torture since motorcycles and scooters are the primary means of transportation for most. There are lots of buses, trucks and cars but the majority are 2 wheeled vehicles of some kind. 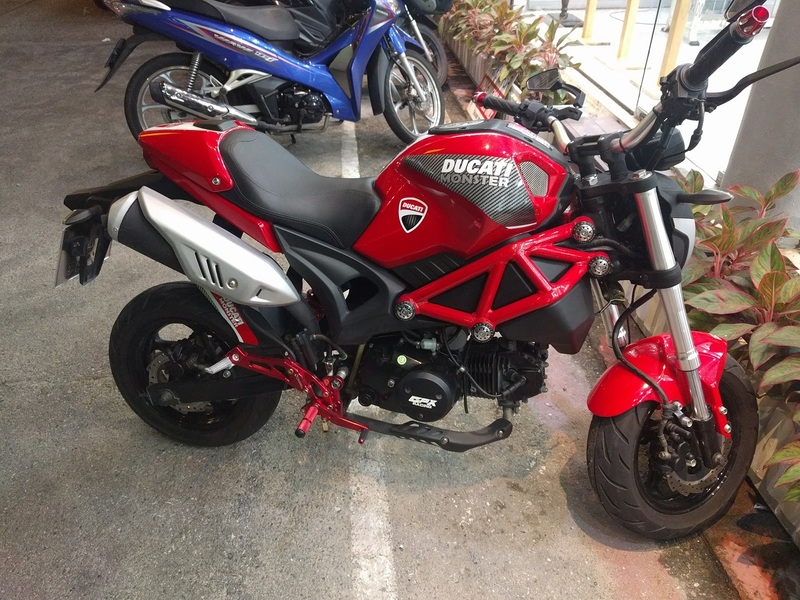 As its a small city, it’s predominately smaller CC bikes and the most common are 125’s. You see some 250’s and hear the big boys (500+, remember small and hectic streets) come out at night. There are some quite cool bikes you see here, such as the below. Upon seeing this guy, I was sad. I missed my baby back home. Don’t worry, we’ll be going for a ride on August 24 Pinner. You also see a lot of Honda MSX125s and Yamaha and Suzuki 125 variants. We call them Grom’s in back in North America and my desire to get one continues to grow on a daily basis. They are perfect for little fun rides in the suburbs, but here they are used as an all around vehicle. 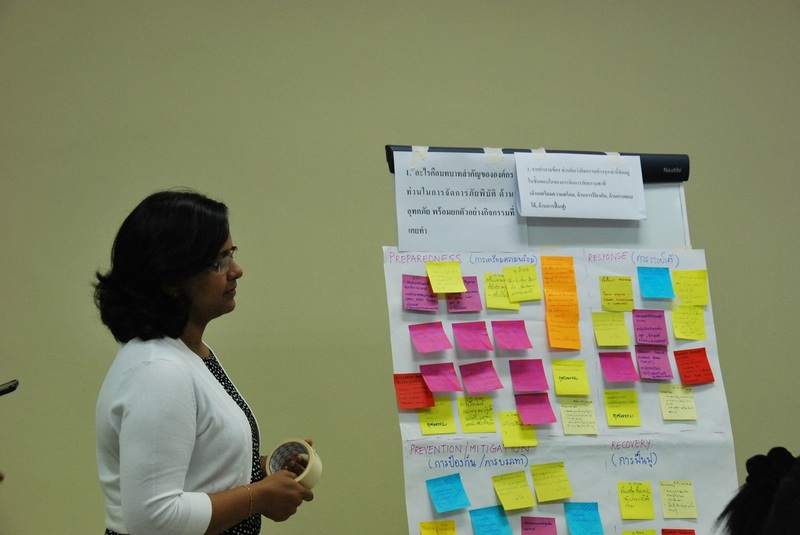 Throughout Tues-Thursday we continued to work with Dr Tanwa to finalize our SoW. We had a deadline of Monday July 31 to have this finalized but as a group we decided to have this done by Friday July 28. We held daily meetings with Dr Tanwa to ensure that our SoW was inline with his expectations and what deliverables he is expecting. We also began researching who some key stakeholders, finding IBM resources across the company regarding our project, booking meetings and creating a listing of people and organizations we wanted to invite to a mini Design Thinking session. Our first week of work at customer site was only really 3 full days (Monday was the opening ceremony) as Friday July 28 is a national holiday to celebrate King Maha Vajiralongkorn’s Birthday. 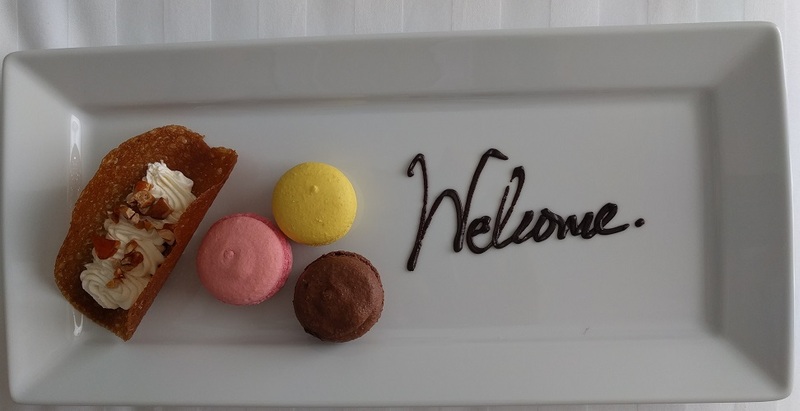 We still decided to meet as a team in the hotel suite that has been booked for us here at the Novotel. Cant stop. Wont stop Team PSU! On the evening of July 27 we received confirmation that our SoW has been approved and finalized by Dr Tanwa. Fantastic! People here love nicknames. Usually these nicknames have absolutely nothing to do with their real names. As some folks back home will realize, when they asked what my nickname is I was kind of hesitant. Friends have been calling me Nads since around Grade 8/9. Luckily people here have a fantastic sense of humour and quite enjoyed that. Our translator, Nawaphat (nicknames New or Private Ryan for his love of war movies, specifically Saving Private Ryan) and I quickly become friends after he saw my laptop background which is the header picture of this site. He’s a big fan of motorcycles and his dream bike is a BMW GS1200. Little did he know I’ve been eyeing the GS700 as a possible adventure bike. Dr Tanwa even had a Harley when he was in the US. It’s nice to have motorcycle friends around me here, especially since its been somewhat torture to see and hear them all and can only look. The ATM’s play music when you withdraw money from them. There are some interesting chip flavours here, including Seaweed, Durian and Spicy Crab (the chips are even formed like a crab claw). I haven’t been to adventurous with those, as I know I will not like them. We celebrated the birthday of one of the CSC team members, Moncef. Cake was delicious and we all had a jolly time. When you speak Thai as a foreigner/tourist here the peoples faces light up in joy. It’s heart warming to say the least as they love that we are trying to learn their language and their rich culture. 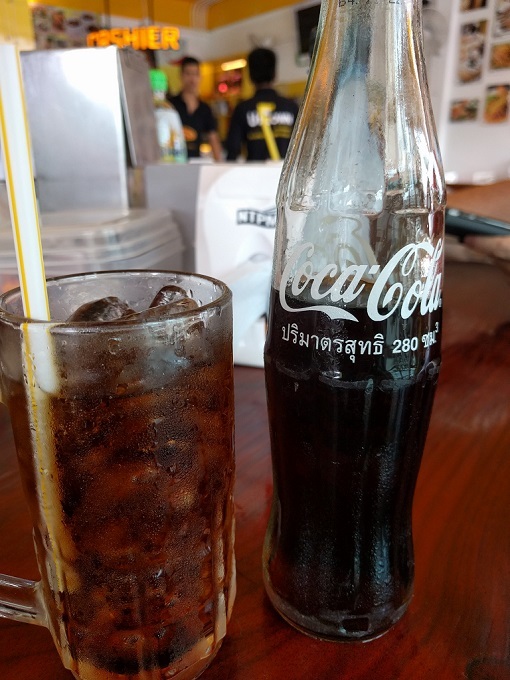 It may just be basics like Hello – Sawadee Krab or Thank You – Kho Kun Krab but it definitely helps. I’ll be detailing those in a separate post as I’d like to do some photo editing when I’m back home and have access to Lightroom. I was a dummy and forgot to install it before I left. Hope you’ve enjoyed the post and til next time. On Monday the real work began. The opening ceremony for CSC Thailand 2 started at 930 AM. Time to suit up! I was excited to get the new suit on as I don’t get many chances to get this fancy. For full transparency, it has been a while since I had to put a tie on, so I spent a solid 10/15 mins watching YouTube videos and standing in front of the mirror getting it just right. I went with a half Windsor knot in the end. 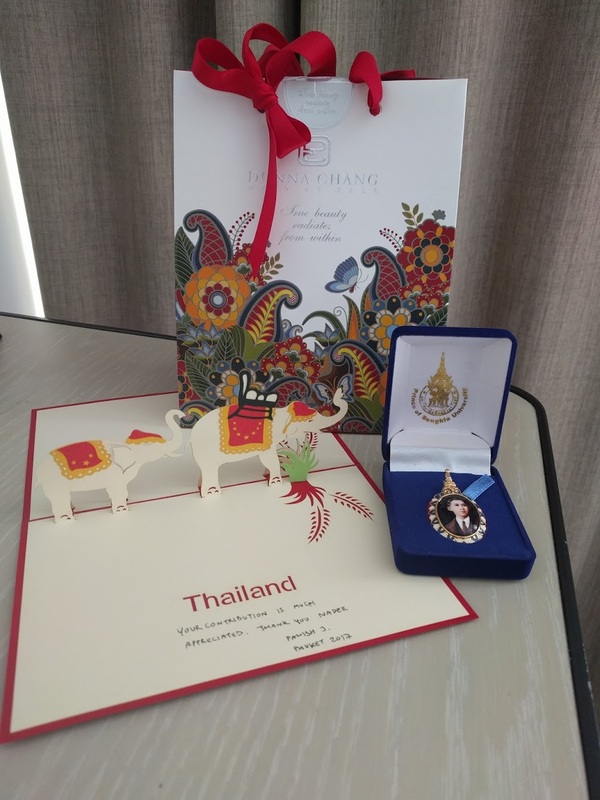 The ceremony was a big event, attended by the Vice-Governor of Phuket, the mayor of Pattong among all the other distinguished guests from the various host organizations. There was also a gaggle of photographers, I think it was around 7 to capture every moment. After some introductions about the CSC program we had a little coffee and tea break and when we came back it was time for speeches from the distinguished guests and host organizations. This was an interesting experience as most speeches were in Thai and were being translated in real time by our team’s translator. While we’ve been in Thailand for a few days now, this was the first time language was challenge. Even with the translator on the team, I found it somewhat tricky to give my attention to both the speaker and the translator. For some reason this never occurred to me as being part of experience, maybe it was the jet lag? Either way, our translator did a fantastic job so we knew what was being discussed. 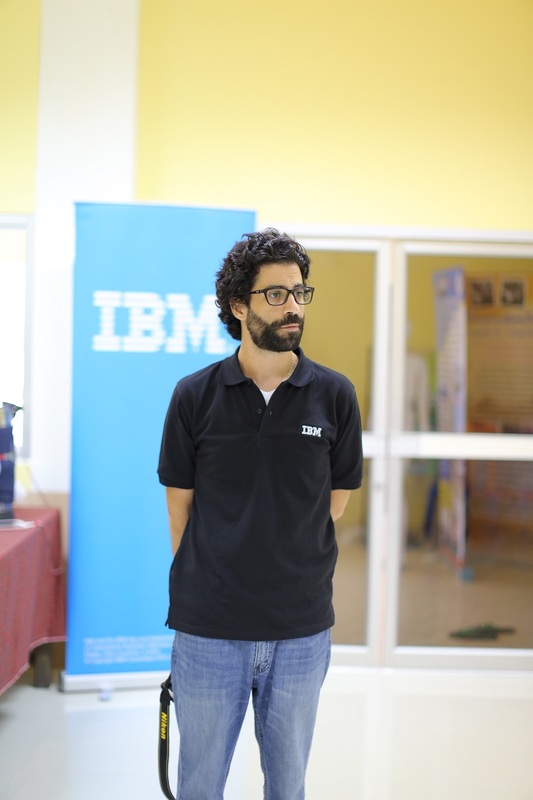 After each of the guests had their speeches and the organizations, it was the IBM’ers time. I didn’t realize that this was on the schedule, but at least it was a topic I knew quite well, some personal history and what I do at IBM. As most know I can speak endlessly about almost any topic but I was nervous. My voice tends to be loud enough, so using a microphone was new to me. The only microphone I’m used to is the one attached to my gaming headset. Regardless, it went off without any issue and even got a few laughs when I mentioned one of goals beyond our scope of work was to gain 5-10lbs while here. 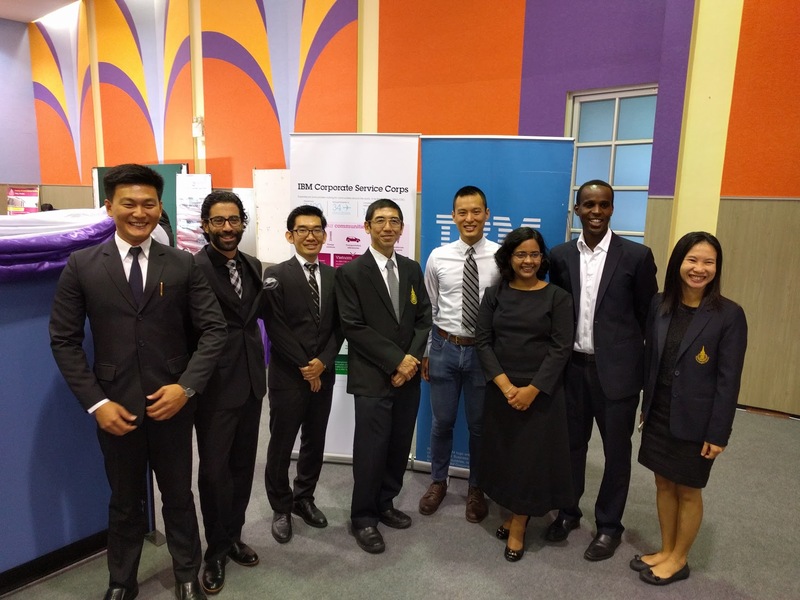 There is a wealth of skills and experience from the IBM team, from a few years to over 30 years and across Research, IT, Sales and Marketing. Most of the others decided to use their newly minted Thai language skills which was often met with applause from the crowd. I knew I should have practiced when figuring out how to tie a tie. After speeches we broke for lunch at the Novotel hotel restaurant, monster beats outlet Amor. There was no business talk, as we all knew that would be coming up after lunch so we took the opportunity to learn more about our customers and vice-versa. The customers were very curious about us, which is common in Thai culture. In some countries it would be considered rude to ask your age or if you’re married but this is normal. As most of you know I’m quite open and will even tell you more than you expected and sometimes even when it wasn’t even related to your original question. I’m proud of my history and my family and I’m always glad to share those details, even with people I just met. After enjoying a wonderful lunch and great conversation we returned to the meeting hall to begin logistic discussions with our customers. This included gathering more details about the project, commute options, facilities at customer site and expected dress code. As we are working at a university, we were told informal would be sufficient, such as jeans and a polo or slacks and a button up. Perfect. Right in my wheelhouse. Our customer is an early starter, primarily to avoid the notorious traffic issues that can be an issue here. Waking up at 630 is not in my wheelhouse, but hey, the whole point of CSC is to get me out of my comfort zone and be challenged. I know a lot of people will roll their eyes about this, but when your alarm clock is normally set for 8 AM it’s a pretty drastic change. Thankfully by this point my stomach had returned from whatever planet it was residing on temporarily, so I should be able to get a nice big breakfast in me to start the day healthy and awake. After nailing down all the logistics we closed up the meeting and then began the paparazzi. As a hobby photographer this I’m not used to being on the other end of the lens. I give much more credit to the celebrities out there who can hold a smile for that long. My face was hurting after a while and I normally am smiling most of the day back home. 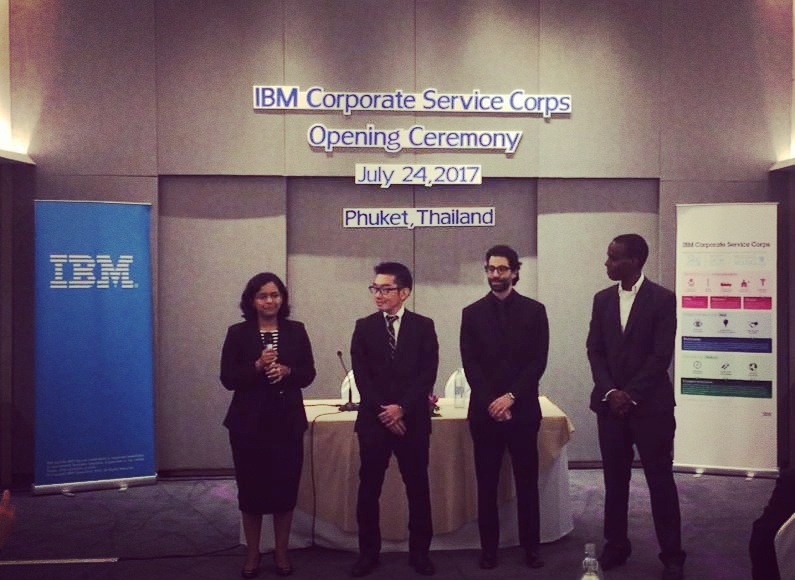 One main item that stood out throughout the entire opening ceremony was how excited everyone from the Vice-Governor to the host organizations were to be part of the IBM Corporate Service Corps program. 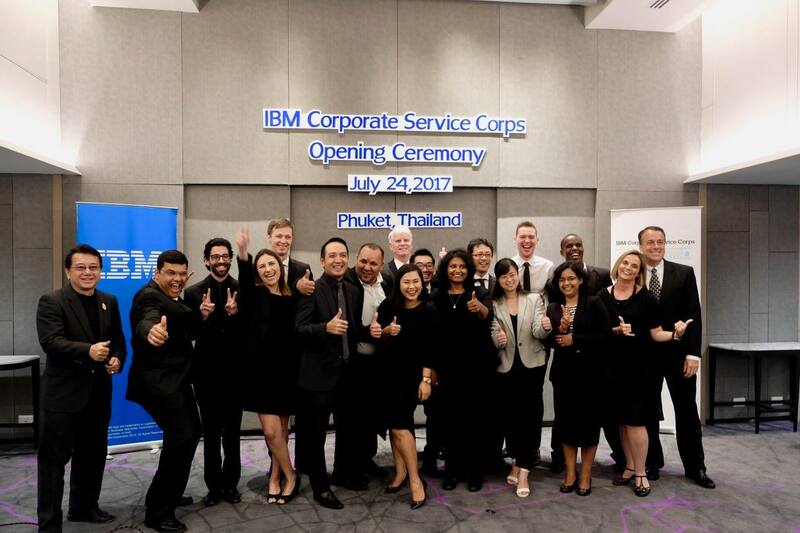 IBM has created an industry leading program that many other corporations have mimicked since its inception in 2008. From the government levels, many organizations were instructed to clear schedules to accommodate our time here and ensure we have the most support possible in order to provide the best results possible in our short 4 weeks in country. It may only be my 3rd full day in Phuket but I can tell this is going to be one of the most memorable experiences in my life. Tomorrow we will be at the customer site and begin all our projects. Here’s hoping I get a good sleep tonight. I’d be lying if I said I wasn’t a bit nervous, stressed and slightly sad to be leaving. Obviously I’m extremely happy and excited as well. I’m the kind of person that lets the stress and anxiety eat away at my stomach so the last couple weeks has been tough. 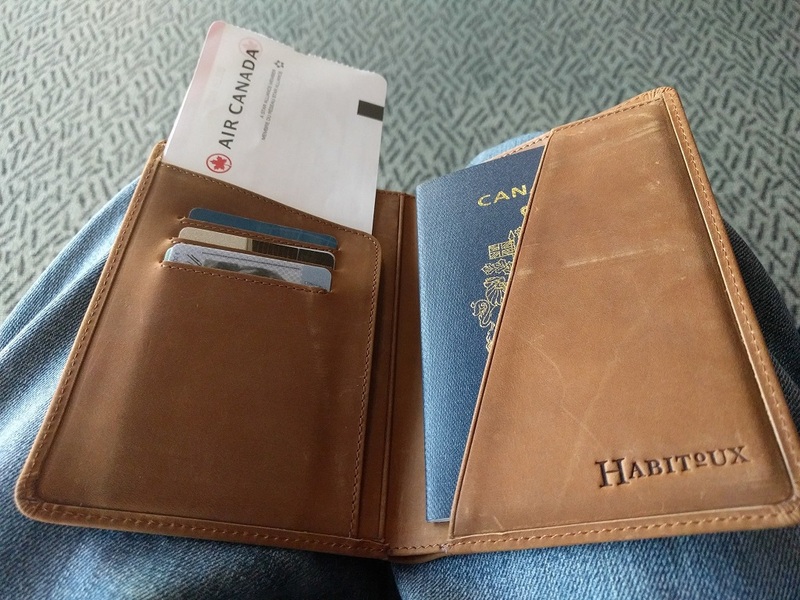 But knowing myself, I knew as soon as I passed through airport security I’d be fine. And sure enough that happened. I mentioned some sadness above and I should clarify that emotion. I’m going to miss the birth of my niece. Her due date was my travel date and I would be a liar if I said I didn’t shed a couple tears while hugging my mom before leaving. For those of you who know me well, family means more to me than anything else in this world but what keeps me happy is knowing I’m going to be able to give Tala a big hug and kiss the day I get back to Ottawa. As some know I was born in Hong Kong and if I’m not mistaken this was my first trip back, even though it was only the airport. I had a few hours layover so I did what any good North American boy would do. 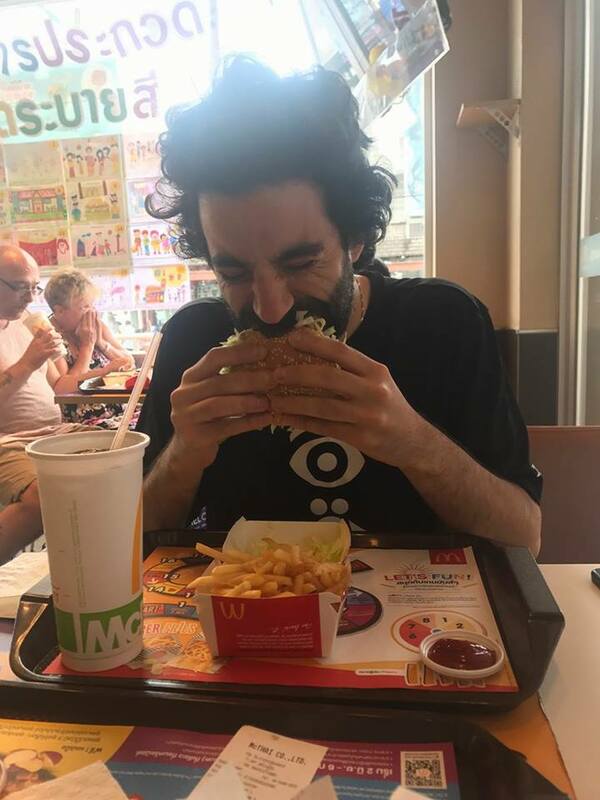 Eat McDonald’s breakfast. After scarfing down an Egg McMuffin and a large coffee, I did some touring around the airport and as the sun came out and the clouds rolled away, the mountains appeared and it was at that moment I realized my next trip has to be to explore my birth country. I was getting ahead of myself because I still had the 3.5 hour flight from Hong Kong to Phuket. It was during this flight that I quickly found out my luck in flights was done. I’m a patient person (I think…) but the kid behind me loved to kick my seat and push his feet on it as well. The back massage was welcomed as the seats in this flight were not very comfortable. And if you’re wondering, no I wasn’t that guy that got all angry and told him to stop. His father noticed and got him to stop. #GoodParenting . Upon arrival in Phuket and exiting the plane, my first dose of the weather slapped me from head to toe. I haven’t felt that kind of humidity since Dubai. Good thing I wore jeans and a long sleeve shirt right? It’s at this moment when the realization of whats to come settled in.